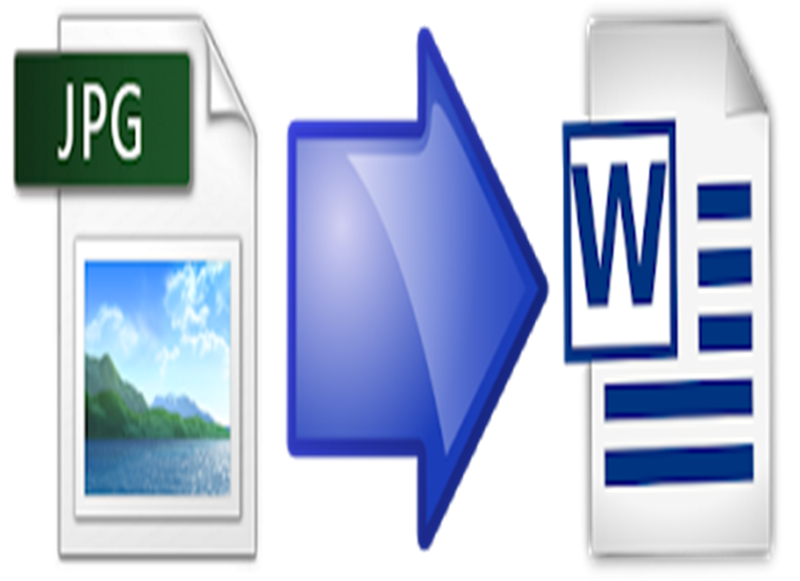 Why You Need to Convert JPG File into a Word format? Home / JPG to Word / JPG to Word converter / Software / Why You Need to Convert JPG File into a Word format? Have you remembered the days when you had to undergo the situation of typing the whole text from an image file? That was such an uninteresting and time-consuming task. 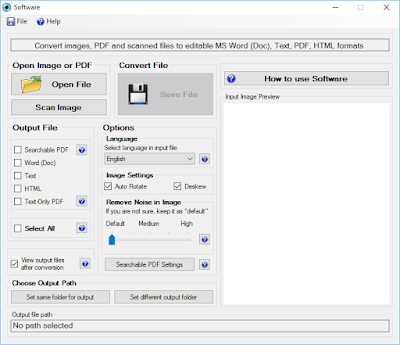 With the help of the OCR (Optical Character Recognition) technology, now it is possible to convert any image file into a Word format in a few seconds. There is no need to retype the scanned documents. Though all the file conversion software work almost in the same way, you cannot get the features and quality similar. You should be a little wiser to pick the right software. Low-quality OCR software will never give you the satisfied results. 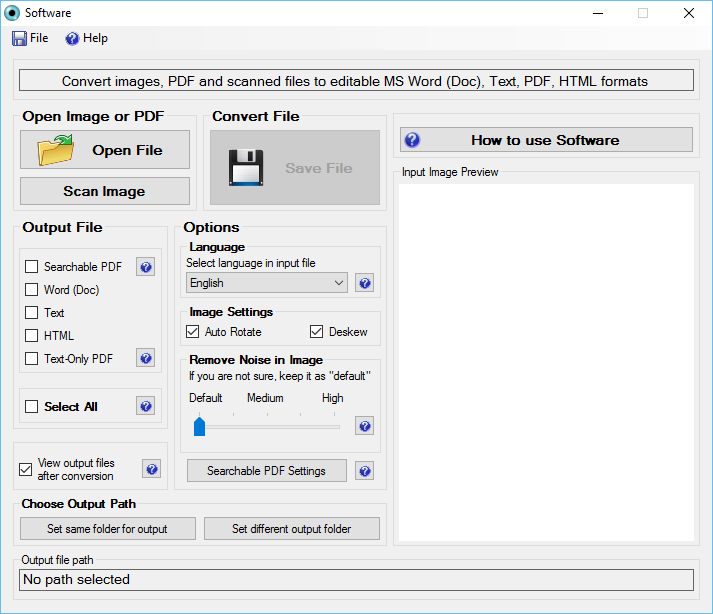 JPG to Word Converter from the company Soft Solutions is designed to convert a digital scanned text into an editable document with so many advantages. When all is said and done, now, it is time to learn how to use this software which is a quite simple process. 2. Select the image file you need to convert. You can either take a scanned file. 3. Choose the desired output format for the file conversion. You get the multiple text formats including Word format, HTML, PDF and text files. 4. Click on the option "Save". That's all. You would be thinking of how easy and straightforward it is to transform hours of unneeded hard work and headache into a few seconds. This software has the highest accuracy rate in doing file conversion. Furthermore, it supports all the image formats. It simplifies your work in converting an image file or document into an editable word format. The software supports more than 40 languages such as Swedish, Estonian, Lithuanian, Scottish Gaelic, Croatian, Irish Gaelic, Russian, Basque, French, Serbian, Slovenian, Spanish, Italian, Icelandic, Greek, Macedonian, Hungarian, Danish, Catalan, Bulgarian, Norwegian, Dutch, Portuguese, Brazilian, Czech, Polish, Finnish, Turkish, Afrikaans, Albanian, Byelorussian, Luxembourg, Ukrainian, English, German, UK English, Slovak, Galician and Romanian. Scanned documents and image files in any supported language can be converted to their original language with all language fonts and styles kept intact. The JPG to Word Converter also gives you the security features. For example, password protection and watermark. The password protection prevents illegal source for viewing, copying and editing your converted documents. On the other hand, With the watermark protection system, you will be able to arrest the illegal distribution of your content. This software preserves your texts, tables, graphics and layout of your documents. The arduous layout of documents with multiple tables, legal documents, faxes and photos captured with digital cameras and mobile phone are appropriately recognized and digitized into various editable formats. On top of that, Conversions from multi-page files, for example, PDF, ICO, TIF, and GIF are also effectively supported. Very important, the JPG to Word Converter is capable of automatically correcting and detecting the rotated, skewed and tilted documents. This software is also efficient to reconstruct the broken characters in the text to provide the finest accuracy and recognition. OCR technology has been in existence for quite a while now. Many enterprises and businesses are doing their work in less time using thissoftware.JPG to Word Converter can be used by any end-user. Installation of this software is quite easy. This article is composed by Ankit Nagpal, he is a software developer and a writer. He is an expert in the domains of scanning, file formats, file conversions, document security, printing, and image editing. He also runs a software organization "Soft Solutions" that develops software in those domains.